Narrows Escape Rainforest Retreat is a boutique five star luxury resort comprising six fully self-contained secluded pavilions nestled in two hectares of pristine rainforest. 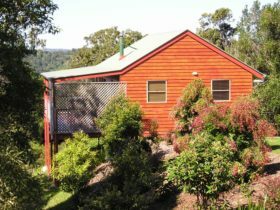 The property is adjacent to Kondalilla National Park in Queensland’s Sunshine Coast Hinterland, minutes from the picturesque village of Montville, a short 40 minute drive from Noosa. 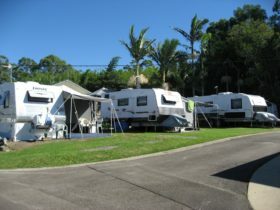 The property is a 30 minute drive from Sunshine Coast Airport and 90 minutes from Brisbane airport. 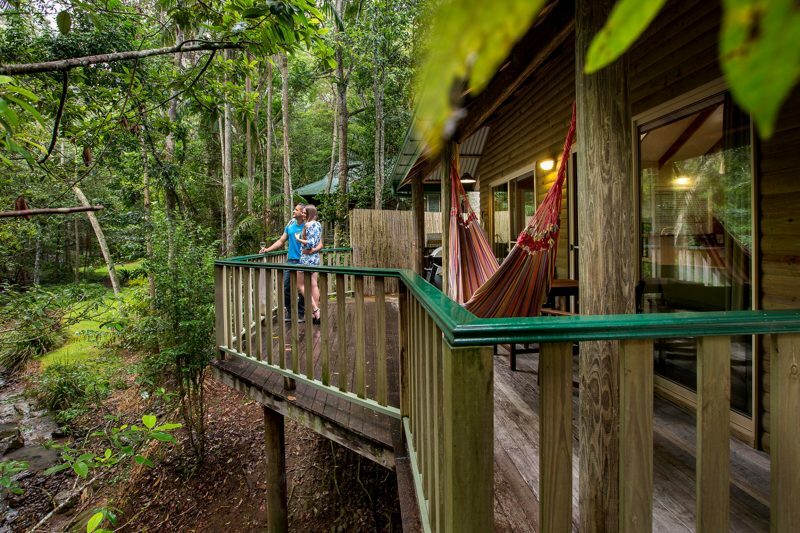 The retreat appeals to the luxury adult couples market, providing an exclusive rainforest retreat experience. 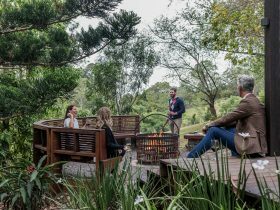 Located at the start of the Sunshine Coast Hinterland Great Walk, Narrows Escape appeals to visitors seeking a luxury stay connected to nature. Pavilions are positioned throughout the property to maximise the rainforest setting and to provide guests with total privacy and seclusion in a self contained luxury cottage with all amenities provided. 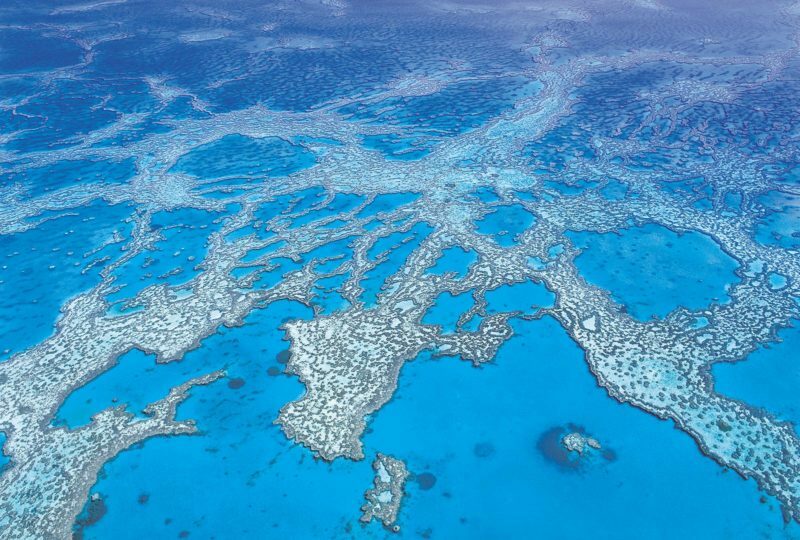 Guests experience romance, seclusion and tranquillity of nature in eco luxury surrounds. 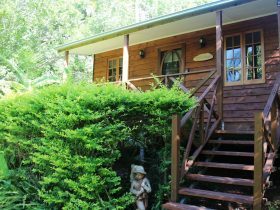 Spoil yourself in the peacefulness of the Sunshine Coast hinterland. Experience the tranquillity of nature, breathe in the crisp, rainforest air, unwind with sensuous massage, snuggle by your fireplace or dive into the sparkling pool. Or simply enjoy the chorus of birdsong from your hammock. Your perfect romantic escape awaits! 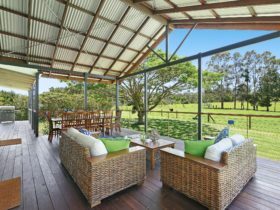 Relax and reconnect in beautiful Montville. Accommodation specially designed for couples, everything is prepared for you for the perfect romantic getaway. 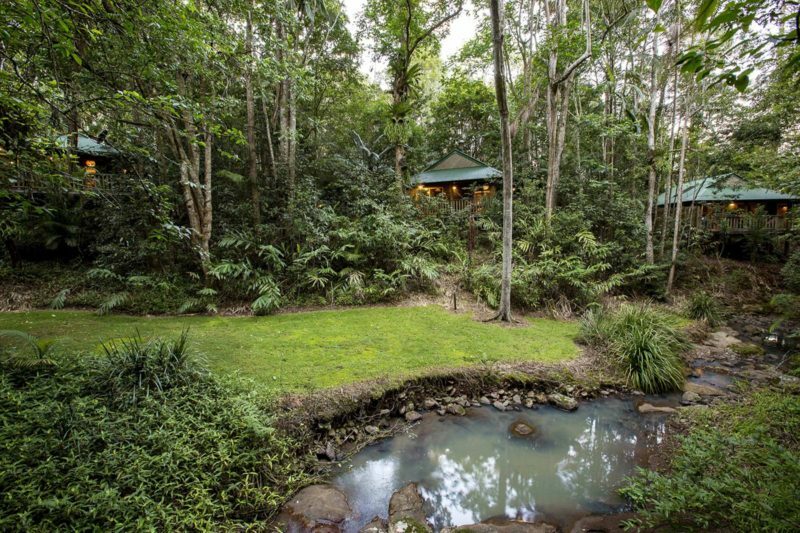 Six delightfully crafted pavilions, secluded in the pristine rainforest of the Sunshine Coast hinterland. 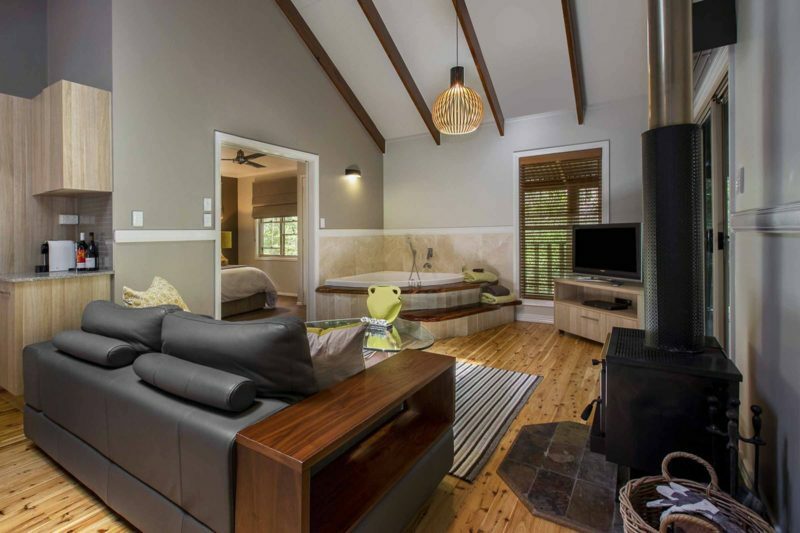 Pavilions all feature deep double spa baths, log fire, luxurious furnishings and beautiful rainforest views, well as all conveniences such as free high speed wi-fi, flat screen television and Nespresso coffee machines. Soft, warm bathrobes and slippers are provided for your comfort as well divine bath products, chocolates and fresh flowers. A welcome platter is placed in the fridge for your arrival if you stay with them for two days or more, and a myriad of little surprises will make your stay a memorable one. A gourmet breakfast hamper is supplied on arrival, with freshly baked croissants delivered each morning. Delicious home cooked meals or barbecue hampers can be delivered to your pavilion so you never need to leave your private rainforest haven. Gourmet breakfast basket included with fresh croissants delivered daily, chocolates and complimentary port.